We took many pictures of this installation and compiled them into a video, so you can see our work from start to finish. This video includes before, during and after images of both the upper roof and the deck roof on the second floor. 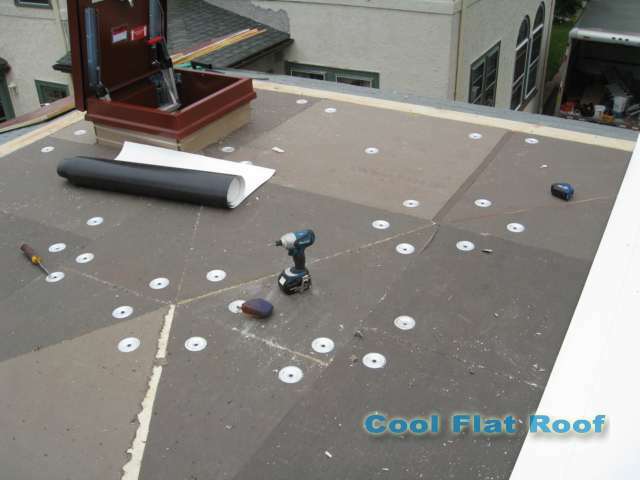 The main flat roof had a tapered ISO insulation installed under the membrane. Tapered insulation is used to create a slight pitch on a flat roof. The pitch allows water to be diverted toward the roof drains or off the roof, depending on the configuration of tapered insulation. This prevents the formation of ponding water, which often causes roof leaks and requires expensive roof repairs. In rare cases, massive amounts of ponding water can cause structural damage to your home, which is insanely expensive to repair, as it requires complete removal of the roof, and rebuilding of the house framing. Besides the tapered insulation, we also installed a roof hatch flashing, which allows roof access without using a ladder. The hatch flashing was done using IB membrane and IB’s pre-manufactured outside corner flashings. Once all the insulation was installed, we could start laying down the membrane, welding the seams and flashing the roof hatch. It’s been less than a year since IB Roof Systems introduced it’s new Copper Drip Edge. Before that, when our customers asked us if we could use copper, the answer was negative, as that would require the use of adhesives, and could potentially cause roof leaks. We were limited to using a steel drip edge, fully covered with a 25-mil layer of IB PVC material, which was only available in two colors – white and dark bronze. 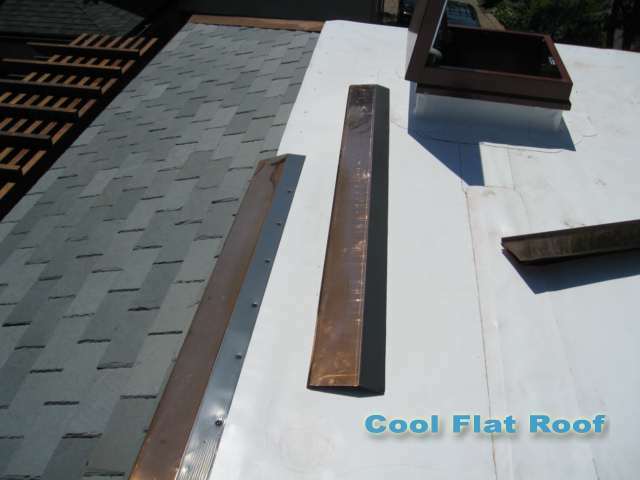 Now, IB has created a method of applying a layer of PVC clad to the flange (concealed part) of the drip edge metal, and the copper is exposed, giving the new roof a beautiful, authentic and classic look of 19th century New England colonial homes, and fits beautifully with slate / copper roofs. IB can custom produce the drip edge to the specifications submitted by the roofing contractor. 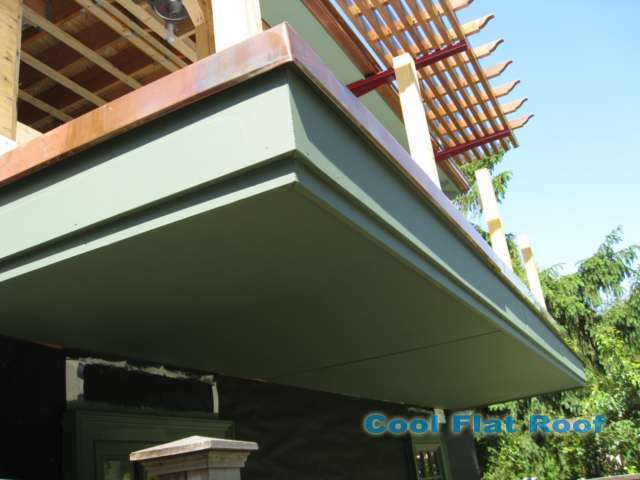 For this job, we ordered a wide angel and 5″ wide face copper drip edge for the upper roof, and a 90 degree kick-in copper drip edge for the roof deck below. 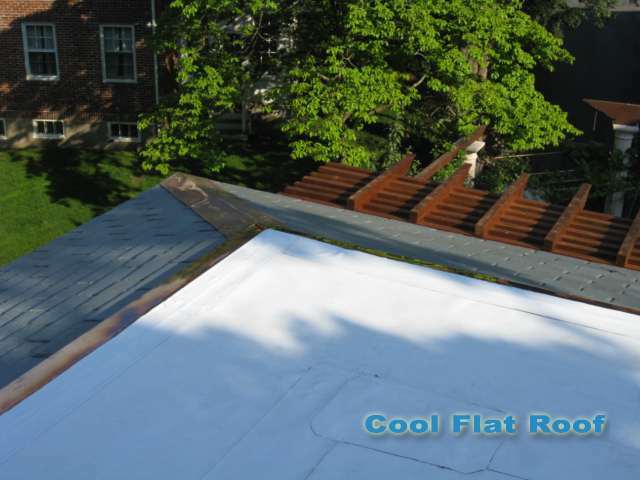 If you have a flat roof which needs replacement in Newton, Boston, or the rest of Massachusetts, contact us today, using our roof estimate form, and we will provide a free price quote to replace or install a new IB roof for you. I’ve searched teh IB website and I can’t find the copper drip edge metal anywhere. Can you provide further details on this product?